As an Australian Company, SkyCiv is committed to providing in-built Australian Design Standards, including AS 3600 2009 - Concrete Structures. 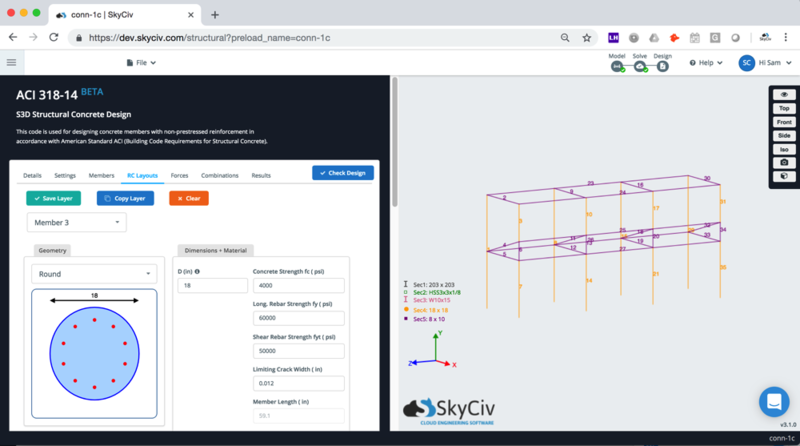 The software is completely Free as a standalone version (enter loads, spans and load combinations manually), or users can upgrade to our fully integrated version: built into SkyCiv Structural 3D, which allows you to check the results of beam and column design checks quickly and easily, all within a single model. SkyCiv's offers a free version of our AS3600 2009 Reinforced Concrete Design software. This version allows you to enter a cross section, reinforcement (longitude + stirrups) to set up your beam or column design. From here you can specify your loads and load combinations (or import AS1170 Load Combinations directly). The user has controls for input such as concrete strength class and concrete age. 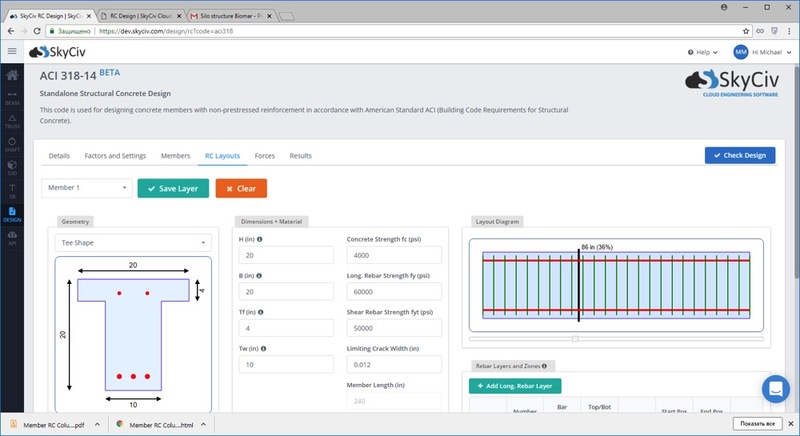 This Australian Standards design software will automatically calculate your flexure/shear checks as well as minimum concrete cover requirements, cracking checks plus much more. SkyCiv displays results in an easy to read table with simple green/yellow and red traffic light results. Our integrated version also allows the user to view the results on their 3D model as well as review the full calculation reports; showing all working, references and results. SkyCiv's AS 3600 Design Software is fully built into the SkyCiv Structural 3D program - allowing you to model, analyse and perform AS 3600 concrete calculations all within the same model. No need to transfer data between software, the program can do it all within the one location. Want to run a standalone check without any analysis? This is possible as well. Simply enter in your forces to perform a check on any concrete beam or column. Access immediately from your web browser. SkyCiv is run 100% online. This means you'll never have to download, install or maintain your software. It is fully functional on Mac, PC, and even mobile tablets! No more license keys, no more version issues and no more update - just clean, easy and powerful software. Get started on your AS standard design in just 30 seconds.